Courtesy photo Mount Aloysius College alumni share a moment with the children at El Hogar de Ninos Enmanuel Orphanage in San Pedro Sula, Honduras. At center (in blue, wearing glasses) is Brianna Baker, coordinator of the Mercy Center at the college. She has been visiting orphanage on mission trips for 14 years. 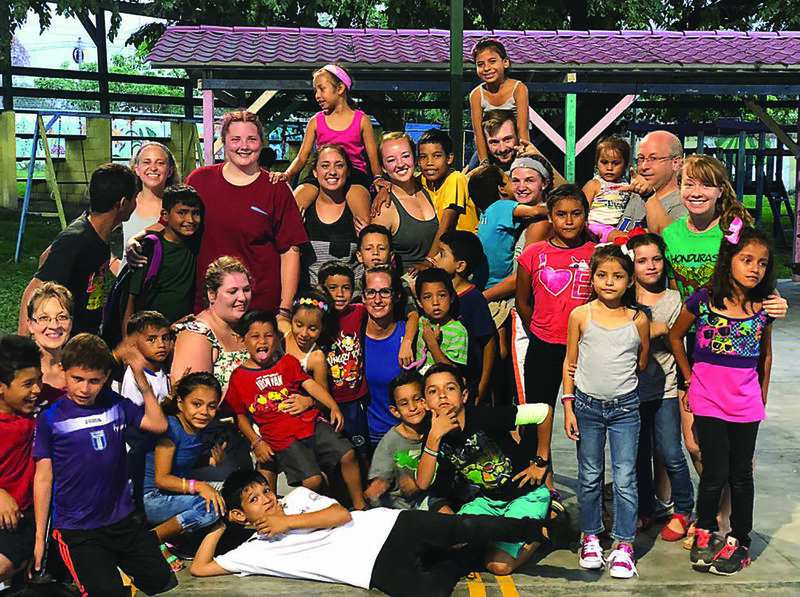 CRESSON — For nearly a hundred orphans in Honduras, Central America, an enthusiastic group of Mount Aloysius College students and graduates are now a cherished part of their family. Executive Director for Missions Integration and Community Engagement Christina Koren, noted that the college’s embrace of community service, now approaching 30,000 volunteer hours annually, goes much deeper than just counting numbers. 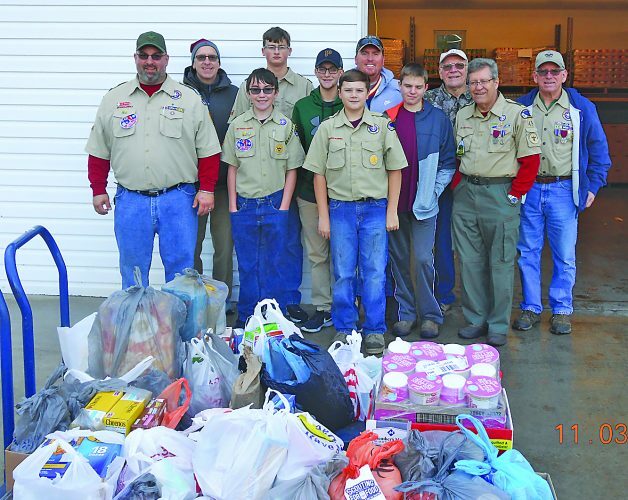 “We certainly encourage service to others,” said Koren. “But we believe it is vitally important that service be authentic and even life-changing for giver and receiver alike — and that it broaden the horizons of our students. Brianna Baker is part of the college’s Mission Integration and Community Engagement Department. Like many members of the Mount Aloysius College professional community, Baker wears several hats. Serving as coordinator of the Mercy Center at the college (Mount Aloysius is one of 17 colleges affiliated with the Religious Sisters of Mercy), Baker is also the college’s head women’s volleyball coach. On her own time, Baker has become an important lifeline to a group of orphans rotating through El Hogar de Ninos Enmanuel Orphanage in San Pedro Sula, Honduras. She has been part of their lives now for 14 years, leading a service team for one week every summer and one week every winter. “The work each time is as varied as the students and graduates who accompany me, and the changing faces of the orphans we serve in San Pedro Sula,” said Baker. Baker noted that there are 75 children as the Hogar de Ninos Enmanuel orphanage; their ages range from newborn to 20 years. The orphanage is funded by the Western PA District Church of the Brethren. Baker noted too that the universal takeaway from the experience seems to be a renewed clarity of perspective. This summer, Baker took a team of 15. In addition of Baker, the volunteers included seven Mount Aloysius College graduates. The graduates include: Rebecca Collins, Lewistown, class of 2016; Cynthia Santoyo, New Oxford, class of 2016 and 2018; Michelle Ubbens, Saylorsbug, class of 2016; Megan Ruddock, Indiana, Pa., class of 2016; Chris McHugh, Hollidaysburg, class of 2017 and 2018; Rachel Harris, Saint Marys, class of 2014 and 2016; and Taylor Boxler, Indiana, Pa., class of 2017.